With over 2500+ professionals, HCL’s Life Sciences and Healthcare (LSHC) practice has been transforming leading Pharma and Healthcare organizations across the globe by turning technology into competitive advantage. The US$ 400+ million LSHC practice in HCL is built on domain competencies spanning Pharmaceuticals, Payer and Provider. It encapsulates the passion of growth that is evidenced by the fact that it is the fastest growing vertical within HCL. The growth of this practice is fuelled by the philosophy of transparency and partnership, achieved by three core value disciples viz. Today HCL’s Healthcare practice caters to the IT, operational and decision support needs of some of the largest Healthcare and Pharmaceutical organizations in the world. Partnership is one of the key elements of the practice’s growth. In line with this philosophy, the LSHC practice has partnered with leading product, services and horizontal companies to leverage their capabilities and fill in the white spaces within the practice. AG: My work with LSHC revolves around providing support for developing customer centric solutions, to help the clients make informed business decisions. In order to lead with confidence and outpace competitors, pharmaceutical companies need to make accurate decisions faster than ever. By integrating data from across the enterprise and delivering self-service reporting and analysis we help companies take well informed decisions that improve organizational goals. There are many solutions under each of the aforementioned categories and services, details of some of them can be found on our website: http://www.hcltech.com/healthcare. No matter how simple or complex the solutions are, the main aim of all our projects is end-to-end value creation for our clients. The services/solutions aim towards cost savings (by reducing consultancy spend, reducing headcounts and reduced TAT) as well as capability enhancement (by enhancing internalization, sharing best practices and utilizing unique capabilities e.g in data handling). AIM: How does a typical requirement gathering to delivery cycle looks like for you? AG: There are many different types of projects undertaken within LSHC, each having different nuances depending on requirements specified in RFPs. Due to diverse types of projects undertaken by us, which range from ASM, ADM to Advanced consultancy type, we have built robust frameworks to serve our clients. And as I said before, even though they may vary in methodology of requirement gathering to final deliverables, but the essence of transparency, flexibility and value creation is core to each project execution. As a typical example, we use MaSCoT (Managed Services with Continuous improvement leading to Transformation) as a proprietary framework that encapsulates end to end of service management starting from pre-transitioning till transformation. The typical cycle has major phases like Define, Transition, Deliver, Manage, Measure, Improve, Add Value and Transform. The key tenants of this framework are Engagement Approach (in consultation and as per the requirements specified in RFP, with in-built transparency and flexibility); People (right mix of onsite and offshore team who can work with the clients and add value); Transition Approach (optimized transition timeline with minimal disruption to business) and Governance (robust governance to ensure right utilization and minimal idle time). AG: Analytics within LSHC @ HCL is a horizontal unit, serving various vertical units like Clinical Transformation, Commercial Transformation, Medical Writing, Pharmacovigilance, Regulatory , Manufacturing, LIMS and more. The analytics division is composed of people from diverse background (Statistics, Programming, Domain, Commercial) so that we are able to not only crunch the data but more importantly provide insights for the clients. In terms of hierarchy, HCL is truly a flat organization (as per our EFCS philosophy) wherein everyone, irrespective of the position, is empowered to lead from the front and generate value for the customer. The Project Managers within accounts are responsible for the delivery of the projects and also responsible for growing the accounts. AG: Generation of insights and value creation is an integral part of every project undertaken in LSHC. As an example, while working with one of the largest global research driven pharmaceutical company in the world, we were asked to device ways of effectively studying competitor sales and perform market share analysis. The client organization was facing an overload of information not relevant to the decisions on hand. Due to poor quality of data, lack of metadata definitions and lack of measurable metrics across defined markets (EM), the clients were caught in the cycle of DRIP (Data Rich Information Poor). HCL helped the client organization to improve the data quality and data driven decision making by improving sales force planning through consistent performance measures. We defined process for data cleansing, standardizing metadata and generating SAS data sets. As a project approach, we streamlined data flows and transformed raw data from heterogeneous sources; improved data quality by applying predefined rules for data validation and verification; generated interactive reports for detailed market share analysis for defined markets and provided rolling forecasts of NRx and TRx for 12/24/36 months. As a result of the advanced market share analytics and reporting, the customer was proactively able to monitor the market share (Tx v/s NRx) , plan campaign program effectively and strategize the defined markets by analysis of market share clusters. AG: I don’t think so, and the reason, in my view, is that data and analytics are tools to solving a defined business problem. It is of paramount importance to understand the business objective and then evaluate the available data and tools for answering the problem. As a result, the same problem might have many different methods of solution, which is alright, as long as the business goals are being met. I give much more importance to defining the business objectives and critically evaluating the pain areas of the customers before proposing different solutions. I draw a line when the pyramid becomes inverted wherein vendors try to fit in different problems to platforms and solutions that they have already built. In my view, it is imperative to understand the domain and areas of value creation than come with a pre-fixed analytical and provide one-solution-fit-all. AIM: What are some of the data measurement points that are becoming more important for organizations? AG: Some of the data points in Pharmaceutical Business Analytics that are gaining importance for building useful insights are the ones geared towards Health Outcomes; Value based pricing; Longitudinal Patient Data; Patient Recruitment; Site Selection; PRO; EMR. The pharmaceutical organizations are trying to harness the power of Big data analytics and optimize their product portfolios, clinical trials, market entry. AG: In my view, the most significant challenges currently are data identification and access. Due to data confidentiality policies across the globe, convincing the clients to share the data is a major challenge. Other challenges revolve around talent acquisition and technologies, especially when the goal is not only to provide analytical support but also to provide insights to the customer. 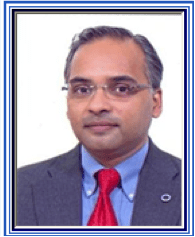 AG: I am a Molecular Oncologist by training, having done my PhD in Cancer Molecular Biology from AIIMS and then spent considerable time in US completing my post-doctoral work in Cancer Bioenergetics from Johns Hopkins University School of Medicine. So, I am not a conventional analytics person with proficiency is analytics tools as SPSS, SAS etc. My expertise is more from the domain side and over last 15 years I have moved into Business Analytics space concentrating more on Decision Support activities for pharma companies. Some of the work that I have been involved with over the years has been in the areas of Competitive Intelligence, Forecasting & evaluations of portfolio, Market opportunity assessments, Market access strategies and more. My background in pharma/ life sciences and the fact I have worked for all the top 10 pharma companies, helps me to bring the business perspective to the table and create value for the client. AG: It is truly very exciting time for analysts, because more and more organizations are now/going to rely heavily on the real world and Big Data. There is already a big demand for “data scientists”, people who understand the fundamentals of analytical models and more importantly “how” and “why” to apply them in different scenarios. My advice to the budding analysts would be NOT to get too much bogged down with gaining expertise in tools only. See the big picture and value that the analysis will provide to fulfill the business objectives. In my view techno-commercial competence is the way of the future and if the younger generation can make a concerted effort towards this, they will surely stand out from the crowd. AG: The requirements are dependent on the projects mostly, but generally we are looking at human assets having holistic perspective. Technical expertise is important but equally important is the way to create value for the client. Therefore, for LSHC knowledge about pharmaceutical/ healthcare industry is an important requirement. AG: I have dealt with most of the points in earlier questions. As per my view, real world and Big data analytics are going to govern this space in the next 3-5 years. There is going to be increase impetus towards convergence of Healthcare, Pharmaceutical and IT industries, for which organizations will be looking at deriving value out of large amounts of data accumulated by them and partners. Dr. Ashish Goel is a Molecular Oncologist having varied experience across different facets of pharmaceutical industry from new drug discovery to decision support analytics. For the last 15 years, Ashish has held varied positions in Pharmaceutical and Healthcare Industry starting from Senior Scientist to Associate Director. His areas of expertise include Strategic planning, Business Development, Knowledge Management, Competitive Intelligence, Forecasting & Valuations, Benchmark Analysis, and Market Opportunity Assessment. Ashish joined Pharma division of HCL in 2010 and is currently part of Analytics team, working on “Real World Evidence” and Big Data Analytics. Earlier he has worked in various capacities in organizations like Zydus Cadila Healthcare, SmartAnalyst, WNS and Indegene LifeSystems. His responsibilities included identifying and evaluating investment opportunities for the client including conducting market research and feasibility studies to assess market potential, preparing financial valuation and assessment of investment returns, assessing potential challenges and risks and preparing recommendations to the Management. He has worked with all top 10 pharma companies at some point in his career as Consultant.